Man: So Tenenbaum lost his appeal. Woman: Ah, yes! The old remittitur trap. Woman: The lower court will use remittitur to lower the amount that poor Joel has to pay. Man: I barely understand that -- but go on. 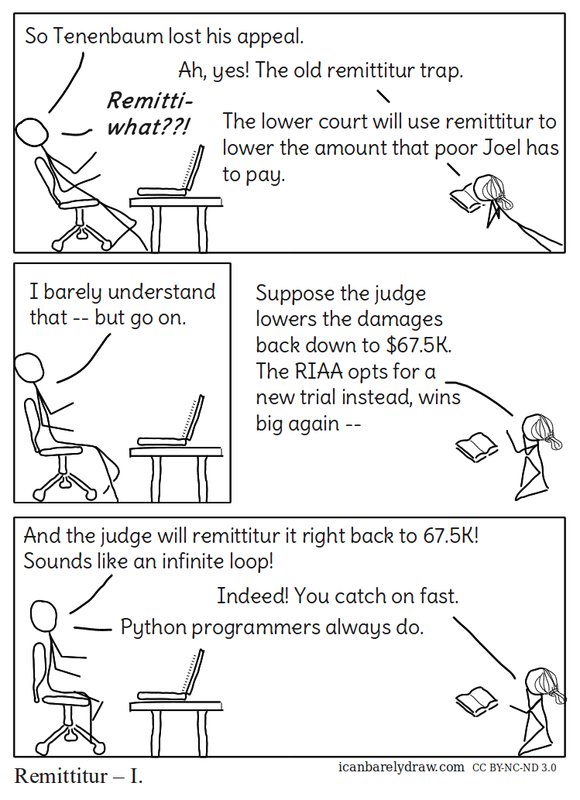 Man: And the judge will remittitur it right back to 67.5K! Sounds like an infinite loop! Woman: Indeed! You catch on fast. Man: Python programmers always do.